Rescope has reached an agreement with the Dutch Tax Office on the application of the lower rate of VAT to all repairs of endoscopes with an operating channel. Instead of the current 21%, hospitals will now pay only 6% VAT. In addition, Rescope has reached an agreement with the Tax Office concerning the reclamation of excess VAT paid over the past five years and rebates of these amounts to the hospitals. This represents an important, one-off tax rebate for hospitals in the Netherlands. 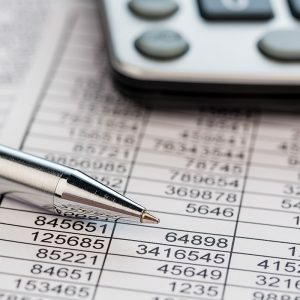 Rescope has assumed responsibility for reclaiming the excess VAT and will ensure its return to clients that have paid too much over the past five years. All hospitals that have made use of Rescope’s services in this period will receive a letter specifying the amounts involved. Rescope will refund these amounts to the hospitals as the claims are dealt with by the Tax Office. Since 1 June, all Rescope invoices for repairs to endoscopes with an operating channel have been adjusted to include the reduced rate of VAT (6%). The achievement of this agreement fits perfectly within Rescope’s vision. Rescope aims to offer the highest quality each and every time in the field of endoscope repairs and refurbishments. The care market is changing. Rescope helps care institutions to work as efficiently as possible and to the highest quality standards. We save our clients both time and money by refurbishing, maintaining and repairing endoscopes quickly and properly at an affordable cost. Rescope in an independent partner to hospitals and other care institutions, and is able to provide a professional answer to any question concerning endoscope management. We are happy to share our knowledge and experience with other professionals.